Today's guest post is by Dan Poynter and it has great information on getting valuable testimonials and forewords for your book/s. 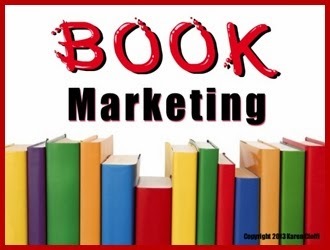 And, this is important whether you're an author or you're using books and book marketing as part of your authority building strategy for building your business. their attitude and they become more receptive. Harvey Mackay placed 44 testimonials in the frontmatter of Swim with the Sharks; he had endorsements from everyone from Billy Graham to Robert Redford. Did these luminaries buy a book and write unsolicited testimonials? Of course not. Mackay asked for the words of praise. Your mission is to get the highest-placed, most influential opinion molders in your field talking about your book. You have more control than you think over whom you quote, what they say and how you use their words. The easiest and most logical time to gather blurbs is following peer review of the manuscript. Testimonials are not difficult to get if you follow this two-step process. Most testimonials are superficial, teach the reader nothing and lack credibility. —Ron Richards, President, Venture Network. Step #1. Send parts of your book out for peer review. Smart nonfiction authors take each chapter of their nearly complete manuscript and send it off to at least four experts on that chapter’s subject. become familiar with your work. testimonial something like this: . . .
Don't have a book or ebook under your belt yet? 44 testimonials? I've seen books like that, and more often than not I leave them where I found them. I agree that testimonials are a useful marketing tool, just like all the other tools we have, or find along the way. And like those tools, they lose their effectiveness if they're overused. Lets be honest, would you read all 44 or just skim a few and skip the rest to get to the, um, you know, the reason you're reading the book in the first place, the story? This goes for fiction or 'non'. I'd be inclined to put the best of the bunch in the book and the rest on a blog or website for your readers to admire once you'd proven to them that you were indeed as good a writer as was testified to. I'm a skim reader, so NO I wouldn't read 44 testimonials. I get annoyed when I'm looking at a product and they have pages of promo and testimonials, and you have to keep scrolling down to the end to find out the cost. I'm not even crazy about audio information or some webinars because I can't skim to what I want. Well put. Thanks for commenting!